St Johnstone took the lead through Jamie McKenzie’s strike before Glenn Middleton levelled for Rangers just shortly before the half-time whistle. Rangers pressed for a winner in the second half but could not penetrate an organised and determined home defence, with Kieran Wright saving a late penalty for the Gers from Saints’ Blair Alston. 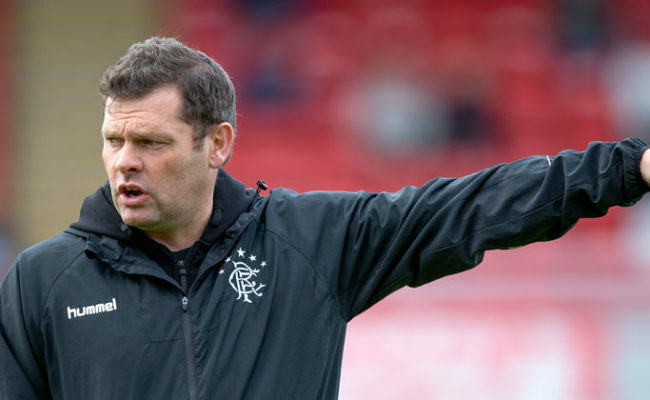 Following big wins over Queen’s Park in the Glasgow Cup and Greenock Morton in the league, Graeme Murty was able to count on the services of several first-team players in the starting line-up. 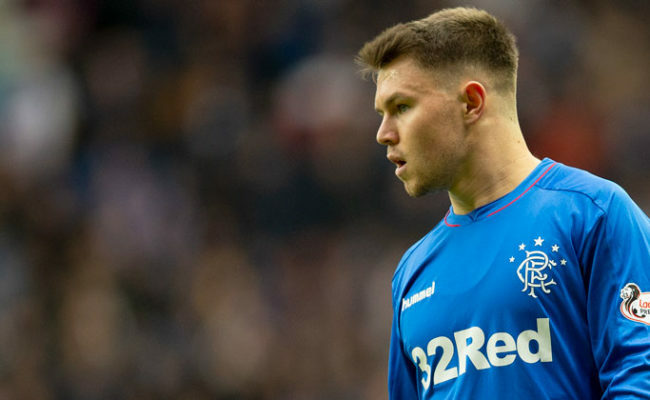 Two of Steven Gerrard’s January signings, American Matt Polster and ex-Dundee ace Glen Kamara were in from the start, as well as Lassana Coulibaly and Middleton. Fresh from bagging a hat-trick against Morton, Josh McPake retained his place in the forward line. After twenty minutes of the game, it remained goalless but both sides were looking sharp and up for the occasion. Rangers were looking threatening through the middle, with Kamara showing composure on the ball and Middleton making some intelligent runs, as well down the left with Stephen Kelly and McPake linking up. The opening goal came about in rather unfortunate circumstances for Rangers and the opposite for the Saints after 26 minutes. Gers goalkeeper Kieran Wright attempted to clear the ball with his feet upfield but his clearance bounced off Daniel Finlayson’s back and right into the path of St Johnstone forward Jamie McKenzie – who made no mistake from inside the area. 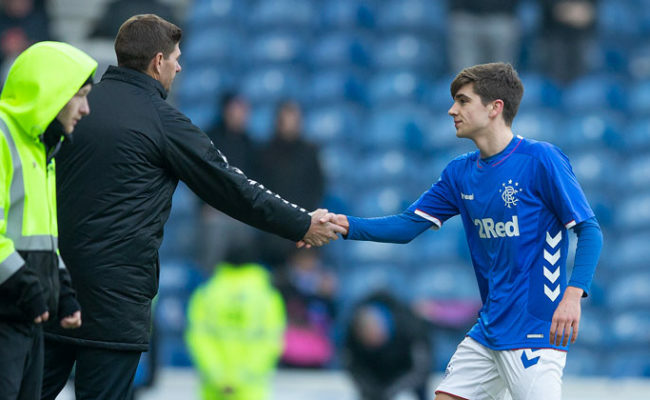 Rangers responded well at the concession of the goal, dominating the rest of the first half, and they got back on level terms just before the break. Rangers were playing some nice one-touch football in the middle of the park and it was this style of quick passing and moving that brought the equaliser. In a move involving several players, Kamara got the ball on the edge of the area and evaded a couple of Saints defenders with a neat pass through to winger Middleton, who smashed the ball past ex-Gers stopper Cammy Bell with his left foot from inside the box. 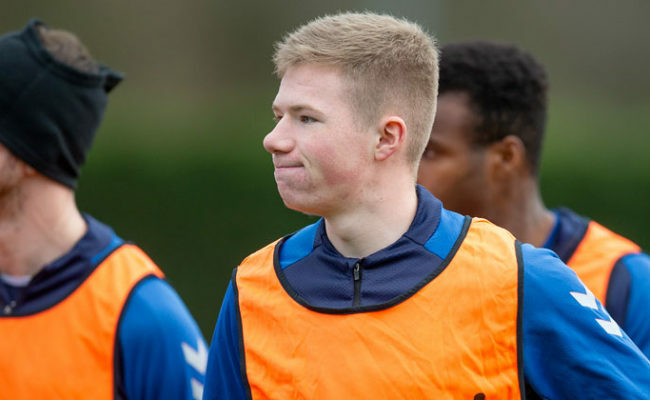 Rangers made four changes on the hour mark with Lewis Mayo, Coulibaly, Kamara and Middleton off – with Aidan Wilson, Liam Burt, Ben Williamson and Dapo Mebude on. 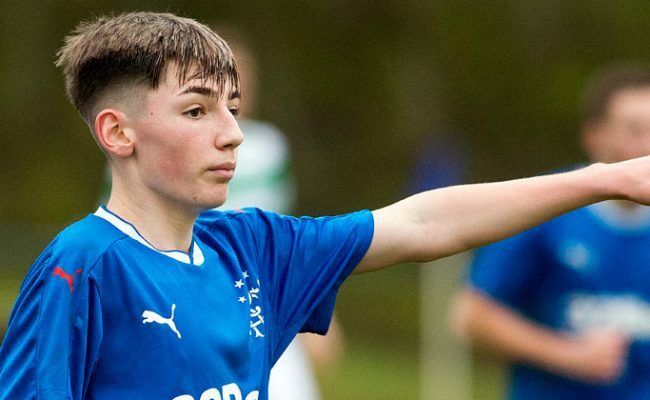 With 25 minutes of the second half played neither side were any closer to nudging ahead in the game, although it was a still a closely-fought contest with Rangers enjoying the lions share of possession. Nathan Patterson replaced Jordan Houston with ten minutes left in the game as Rangers chased a winner in Perth. Chances were few and far between, the closest Murty’s side came was from a Kelly free-kick just a few minutes before the end. The midfielder struck the ball with power and precision but Bell was equal to it, palming the high effort away for a corner. Disaster looked like it had struck for Rangers just two minutes later when the referee awarded Saints a penalty, with first team player Alston stepping up, but Wright was there to deny Saints the three points with a save to his right as it finished 1-1. 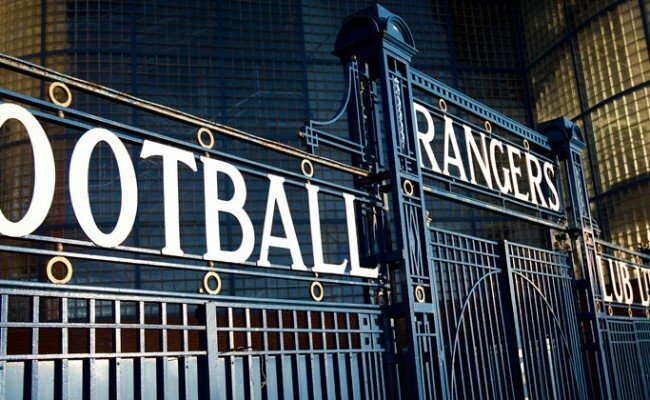 RANGERS: Kieran Wright, Matt Polster, Jordan Houston, Glen Kamara, Daniel Finlayson, Lewis Mayo, Stephen Kelly, Cameron Palmer (c), Josh McPake, Lassana Coulibaly, Glenn Middleton. SUBS: Nicky Hogarth, Liam Burt, Aidan Wilson, Dapo Mebude, Nathan Patterson, Joao Balde, Ben Williamson.